The client came to us with a basic design with logos of their sponsors that needed to go onto the shirt. Because of the great work we did , our client said we can place our tshirtprinting.co.za logo onto their shirts as promotion to get my business promoted. 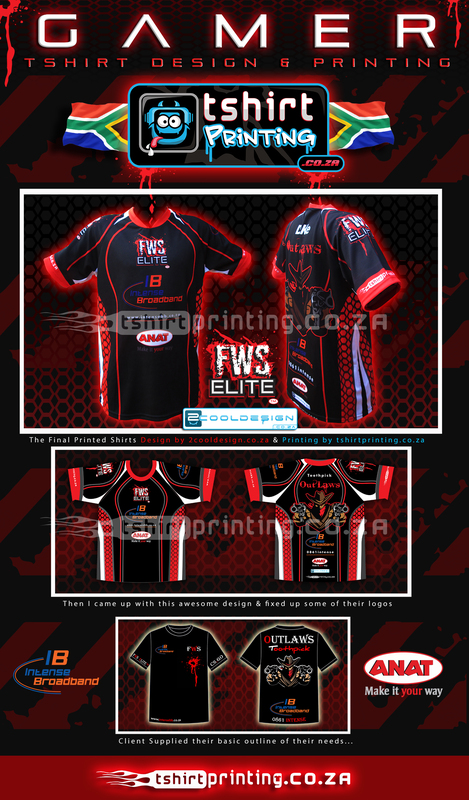 Thanks again to Tyron kid and his team for the awesome project, This is what we love doing here at tshirtprinting.co.za , Designing and printing the coolest gamer shirts in the world !